NEYCAG held their annual summer BBQ on Thursday 6 August at the Pitcher and Piano. It was a great evening and the warm sunshine provided an appropriate bakdrop for catching up with friends and contacts at the waterfront bar on Newcastle’s Quayside. The event was extremely well attended by 40 people. Fern Pearcey of UNW Chartered Accountants and NEYCAG committee member said ‘Great event, it’s good to meet colleagues in the same industry in a social environment’. Photographs shows the view across the River Tyne from the Pitcher and Piano towards the Baltic art gallery and the Gateshead Millenium Bridge. We look forward to hosting the next BBQ in summer 2016! In the meantime look out for our other events – here on our website or by following us on Twitter @NEYCAG. 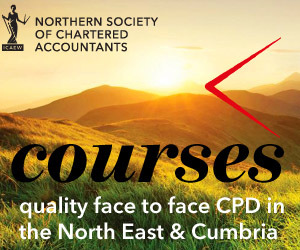 NEYCAG is the North East Young Chartered Accountants’ Group part of the Northern Society of Chartered Accountants (NorSCA) which represents 4,000 ICAEW members and ACA students working in business and the finance profession across the North East of England, Teesside, northern Yorkshire and Cumbria. We have been assisting businesses in the north of England and producing chartered accountants for over 130 years. Our members are part of a worldwide network of 144,000 ICAEW Chartered Accountants who help people do business with confidence.